Basically, she answered 11 questions herself that a previous blogger asked, and then she nominated five lucky bloggers to answer 11 questions that she came up with herself! I am one of them, so here goes! 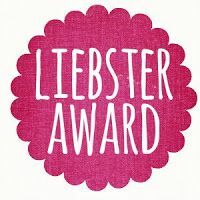 Leave a link back to the blogger(s) that nominated you. Choose 5 bloggers with less than 200 followers to nominate. 1. What is your favorite song and why? When You Come Back Down by Nickel Creek -- I love it because I found it when Dan was in USAFA Prep School Basic Training, and the lyrics really spoke to me. It's a wonderful song, and I listen to it when I'm feeling down. You can hear it BY CLICKING HERE. 2. What is something beautiful (no matter how small) about today? I was able to have some really in depth conversations about life in general with a few of my students after we finished testing. Instead of playing on the computer and listening to music, some of them CHOSE to spend time with me. It was awesome. Oh boy. This is a tough question. I read so much. In fact, I have already read 16 books this year, and it's only early March. This is probably the craziest question I could EVER be asked. Although Jodi Picoult is my favorite author, and I love all of her books, my ABSOLUTE FAVORITE BOOK OF ALL TIME is The Kite Runner by Khaled Hosseini. I put off reading it for a long time, but when I finally took the time to sit down with it, I was completely captured. I couldn't put it down. I sat outside on my deck at my old apartment with a glass (or bottle) of wine and just kept reading. That book was the most connected I have EVER felt to a piece of literature. You can check out my review of it BY CLICKING HERE. 5. If you could hop on a plane right now, where would you go? Anywhere? In the entire world? South Africa. Have I been there before? Nope. But it's #1 on my Bucket List, and I can't wait to explore it someday with my handsome fiancé (who will undoubtedly be my handsome husband by then). I am dying to go on a no-kill safari and see all of my favorite animals in their natural habitats. Yep, I'm a sucker for African animals. 6. What is the last thing that made you laugh until you cried? This is going to sound lame to everyone else, but I cried in the middle of class a couple weeks ago. Another teacher and I were putting grades in the grade book online while our students were taking a test (we co-teach the class together), and we were trying to give an abbreviation for our Bias, Assumption, and Generalization test because the system requires an abbreviation. Anyway, we were scoring the part where the students defined bias, assumption, and generalization. My co-worker whispers, "Just type: "D-BAG", so I did. And then I noticed what it said. And I started laughing and showed her. Then we both became hysterical because we had to remain quiet, and you know how that goes... when you're supposed to be quiet, everything is 6840950 times funnier, especially when 14 year olds keep looking at you like you're a raging lunatic. You had to be there, I guess. 7. What movie did you last see in theaters? This is going to show how long it's been since I've seen a movie, but I saw Lincoln with Dan in early December. Yep, it's been that long. I don't typically see more than two or three movies a year. It's just not my thing. That said, Lincoln was PHENOMENAL. Good enough to last me at least three months, apparently! 8. What piece of clothing could you not live without? Gym shorts. I am THAT girl. I would wear them everywhere if I could. They are so comfortable, AND they've always been my style. I am NOT a girly-girl. I never have been. I have over 20 pairs of gym shorts. I wear them ALL THE TIME at home. Don't judge. 9. What was the last spontaneous thing you did? Hmm, this is a toughie as well because I am NOT a spontaneous person. I wish I was. I have tried. But when I tried, it turned into me PLANNING to do something spontaneous and completely canceling out the entire point of spontaneity. I honestly can't even think of ONE instance in which I was spontaneous. How sad. I am a complete planner by nature. I love fall. Autumn. Call it what you want. But the smell of trees gets me every year. It smells like football. It smells like cross country. The weather is PERFECT that time of the year, and the colors are beautiful. Oh, and brand new school supplies. I AM HOOKED. Is anyone surprised? Thinking about the fall makes me anxious because I love it oh-so much. I've got a long time to wait, though, so I'll settle for spring arriving in a couple of weeks. I really am a seasons girl, though. If I ever have to live somewhere without all four seasons, I will be completely devastated. 11. What is your favorite TV show and why? This is going to show the complete and total nerd in me. I don't watch a lot of TV. I never have, really. Sure, I enjoy a few shows, but if I miss them, it's no big deal. The one I absolutely ADORE, though, is Jeopardy. Yep. I have a SLIGHT obsession with Alex Trebek. In fact, I ran up to the TV screen at my great grandparents house when I was only a year old or so and KISSED him on the screen! He may have been my very first crush. (How embarrassing). I would always rush home from track practice in high school to watch Jeopardy at 4:30. And now that it's on at 4:00 in Colorado, I started using the stair-climber machine at my gym because it's the only way I can see Jeopardy! I really should invest in DVR... Anyway, once upon a time, I tried out for Jeopardy. I took a few online tests but didn't make it past the third round of try-outs. Bummer. It is my biggest goal in life that I will probably never accomplish... such is life, I suppose. 1. What is the story behind your given name? 4. What do you do when you are stressed out? 5. What is your favorite fruit? 7. How did you meet your significant other? 8. What kind of computer do you use? 9. How many kids do you want (if any), and boys or girls? 10. Do you have one song that really pumps you up when working out? 11. What is your favorite school supply? Be as general or specific as you want. YAY! So happy you did this. :) I LOVE your last answer about Jeopardy. It made me smile. I'll have to put The Kite Runner on my to-read list!